At Flanders & Patch Motor Sales in Lebanon, N.H., the service department has a safety net that picks up the slack when retail work drops -- a strong fleet business. It helped the small, family-owned Ford dealership get through the industry downturn of 2009-10, Service Director Walt Boivin said. 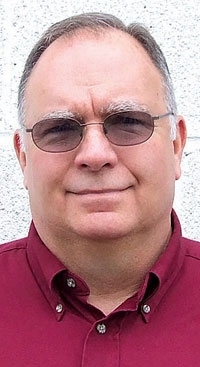 Flanders & Patch has serviced fleets since before Boivin joined the dealership in 1975, but managers began going after the accounts in earnest about 10 years ago when his staff became adept at handling fleet customers' varied requirements. A recently updated computer system also eased pursuit of the business. Boivin credits his department's success with fleets to the experience of his two service advisers and their ability to satisfy fleet clients' demands. Not every dealership wants to attempt that. "We had a local propane company start bringing us vehicles because another dealer didn't want to deal with their work," Boivin said. Some fleet clients insist on providing their own parts. Others have complex billing instructions that must be followed to the letter. One company requires that the purchase order number on the invoice be circled, he said. If it isn't circled, the company ignores the payment request. "The guys do a really good job of keeping track of that so we can work for all these companies and get paid," Boivin said. Fleets make up about 25 percent of the dealership's service business. Boivin is striving for more, but the dealership has no set target for its retail-fleet mix. The dealership's overall service revenue and profits rose by single-digit percentages in 2011, and Boivin expects a 10 percent-plus increase this year. Flanders & Patch has several dozen fleet clients, both local and national companies. Clients include financial services company GE Capital, fleet leasing and management company Donlen Corp. and Enterprise Rent-A-Car. While some jobs can be complex -- a rail company client uses trucks converted to be driven on railroad tracks -- many involve Tauruses, Fusions and Focuses used by traveling salespeople. "There's an awful lot of routine service that's floating around out there that other places are missing out on because they just don't want to deal with the hassle," Boivin said. The dealership is trying to increase its customer-pay retail work, too. With other area Ford dealerships closing in recent years, Flanders & Patch has adopted some orphaned customers. It also markets to the steady influx of newcomers who move to the area to work at Dartmouth College, its medical school and numerous technology and medical companies nearby. "We don't feel we're setting the world on fire yet," Boivin said. "But after 2009, our lights are still on, and the employees are all still here. We're still going along."